Obama will visit Ground Zero Thursday, five days after US forces killed Bin Laden, who ordered the 9/11 attacks that killed nearly 3,000 people. U.S. President Barack Obama will visit Ground Zero Thursday, five days after U.S. forces killed Osama Bin Laden, who ordered the 9/11 attacks that killed nearly 3,000 people. He also will meet with families of the victims at the Twin Towers of the World Center, set on fire by suicide terrorists in two airplanes that crashed into the skyscrapers. The towers collapsed from the intense heat. 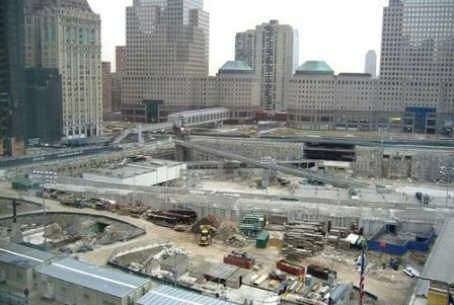 Ground Zero is only several hundred feet from the construction of the controversial multi-story mosque that critics have said is disgrace to the 9/11 victims. Proponents have argued that the mosque will represent unity of Muslims with all Americans. The Lower Manhattan Ground Zero site was filled with celebrants Monday night following President Obama’s dramatic announcement that American soldiers successfully carried out the mission to kill Bin Laden.